DJ Paul and Drumma Boy release a new music video for their collaborative banger, “Muscle So Strong.” The track is the latest single from off the duo’s Clash Of The Titans mixtape. Backed by some pounding bass and heavy keys, the rappers go to work over the menacing instrumental and lace the track with street inspired lines about movin’ work, makin’ moves and stackin’ piles of cash. This is definitely one for the turn up crowd. 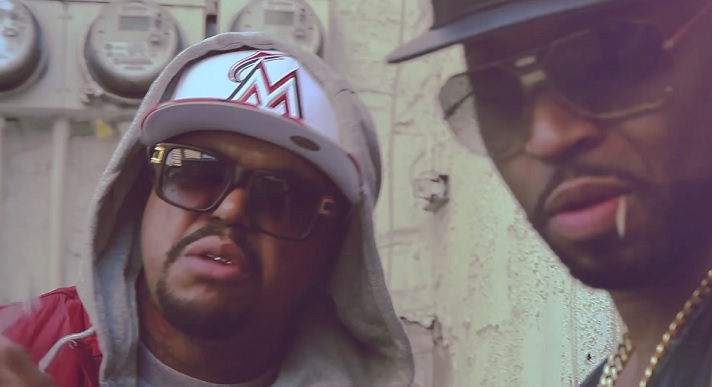 Check out Paul and Drumma Boy in their new gritty and flashy visual. This entry was posted in Music, Video and tagged clash of da titans, crunch black, dj paul, drumma boy, hip hop, Muscle so strong, rap. Bookmark the permalink.